In my role as part of the Customer Success Marketing program, I have the opportunity to speak with many of our customers, and I’ve often heard them say things like, “We make the the things you touch every day,” or “One of every three automotive seats in the world is made by our company.” While this is impressive to hear, it can be hard to actually visualize. 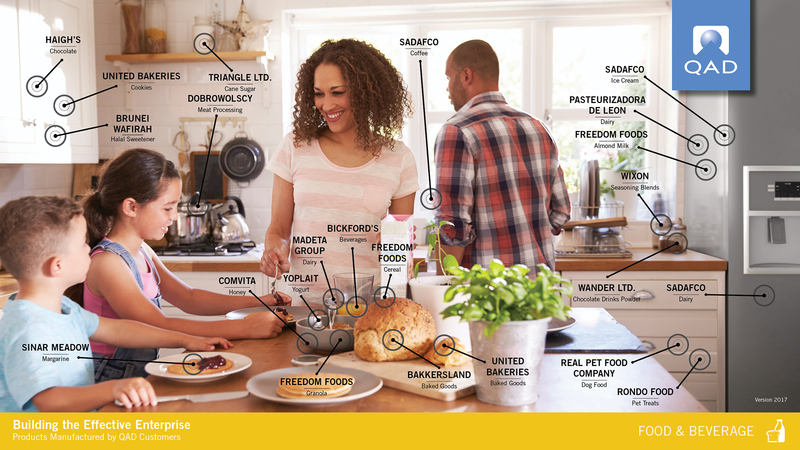 We created industry diagrams for all six of our vertical markets in an effort to illustrate products that are made by QAD customers and found in our everyday lives. Our customers make the products we use every day, from the moment we wake up in the morning and get ready for work to the drive home at the end of the day. 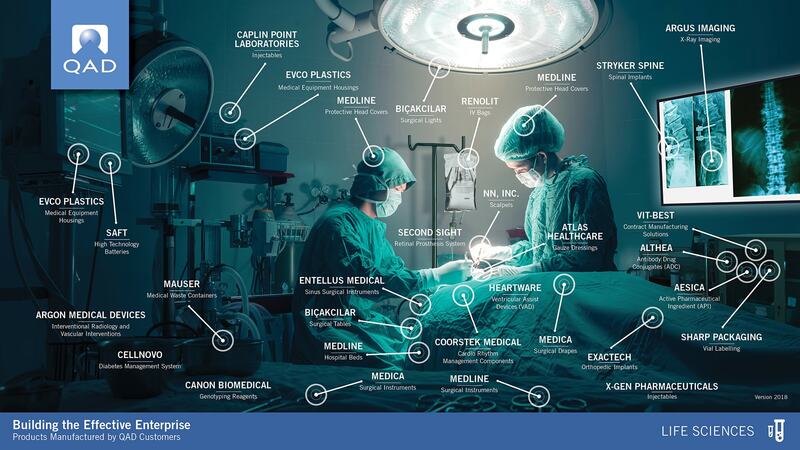 With a scope that wide, you can imagine that each of these manufacturers have unique challenges and require unique solutions. If you take a look at the diagrams, you are able to see and better understand the scope of our customers’ experiences. 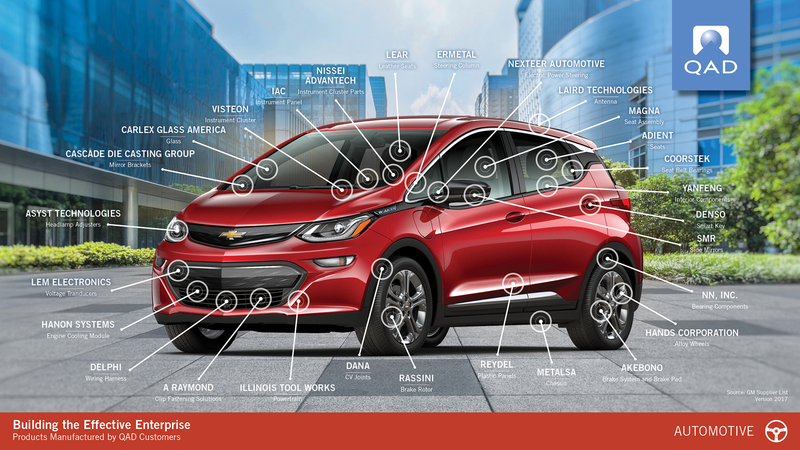 For example, let’s look at the Automotive industry diagram, featuring the Bolt, Chevy’s first long-range all-electric vehicle and 2017’s Motor Trend Car of the Year. We’ve identified 30 QAD customers that make parts specifically for the Bolt. They make everything from headlamp adjusters and rearview mirrors to the leather seats and floor mats. While the diagram only features QAD customers that made parts for the Bolt, we work with countless other automotive customers. As a matter of fact, eight out of 10 global automotive suppliers leverage QAD solutions, and 50 of the top 100. 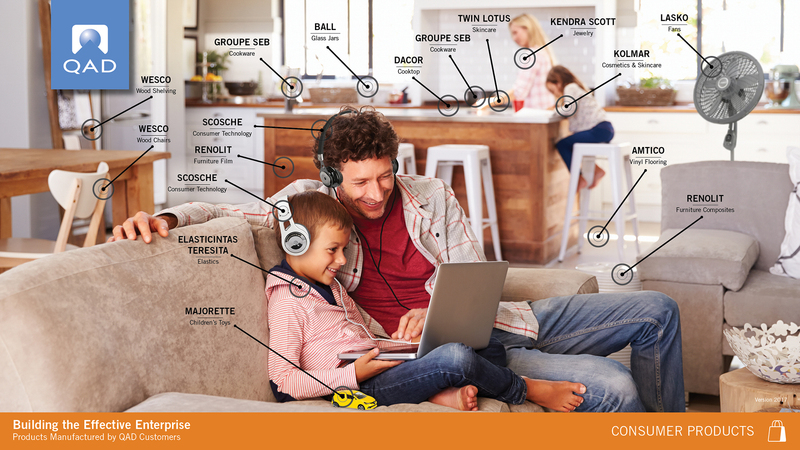 In both the Consumer Products and Food and Beverage diagrams, you can visualize yourself sitting in the living room with a cup of coffee or making breakfast for your family. Our customers make the snacks in your cabinets, the frozen food in your freezer and the furniture you are sitting on. As you can imagine, each of these products require unique manufacturing processes. Now let’s step outside the home and look around your yard. In our High Tech and Industrial manufacturing diagrams, you’ll notice our customers’ products are everywhere. 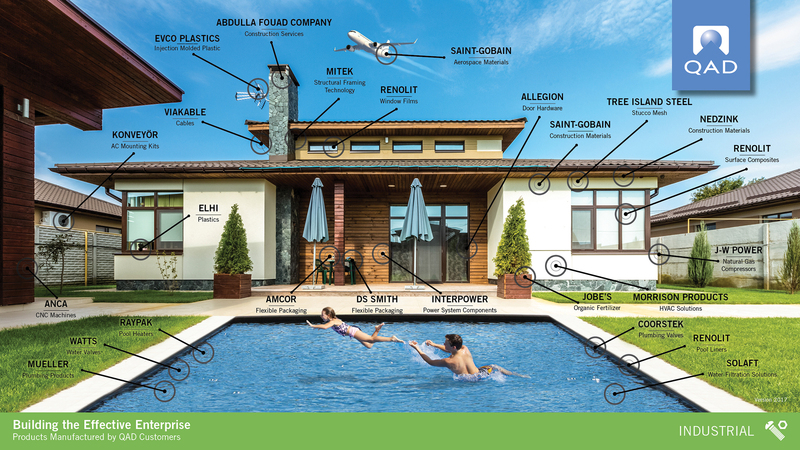 If you have a pool, you can likely thank a QAD customer for the pool liner, water heater or filtration system. Our industrial and high tech customers manufacture everyday products that make our lives easier, more comfortable and more efficient. Finally, our Life Sciences diagram might be the most compelling. QAD customers save lives. Every day. It’s true! We’ve taken some liberties in creating this diagram to illustrate the diversity of our customers in the life sciences industry. We’ve chosen an operating room and our patient is under the knife for multiple ailments including a retinal prosthesis implant, spinal implant and a potentially fatal heart surgery. It’s amazing to see all of the products our customers make in this field. 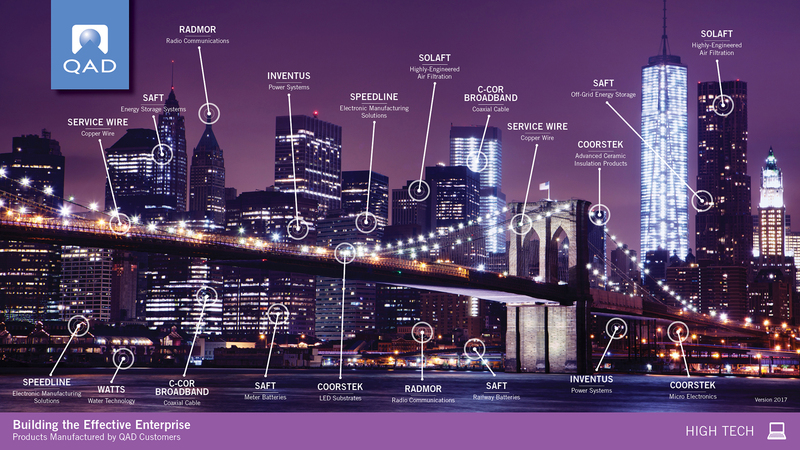 These industry diagrams are just samples of some of the innovative products our customers make. We might not see it right away, but our customers have so much to do with our everyday lives, and QAD has the solutions that enable them to become agile, flexible and rapid enterprises. Learn more about the innovative customers we partner with and serve all around the world.